PERFECT GIFT FOR KIDS AND BEGINNERS! 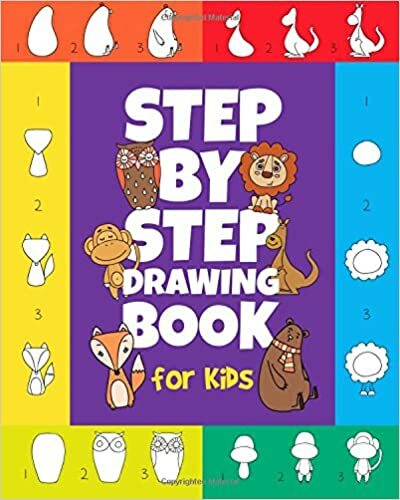 Peanut Prodigy’s Step-by-Step Drawing Book for Kids is a fun way for your child to learn to draw and enhance motor skills! Each illustration page is equipped with two different pictures that are numbered with a blank corresponding page to begin practicing! Our book includes various illustrations, such as animals, plants, and methods of transportation. Helpful Tip: Start off by drawing lightly, so you can easily erase. Follow the steps to complete your picture and once it is done, add your own unique details OR color it in to make it POP! This coloring book for children is great for young artists. The drawings are easy to do and detailed enough to challenge the children. There are step-by-step guides to follow making creating each drawing that easier. Plus, it gives the kids space to practice within the book.